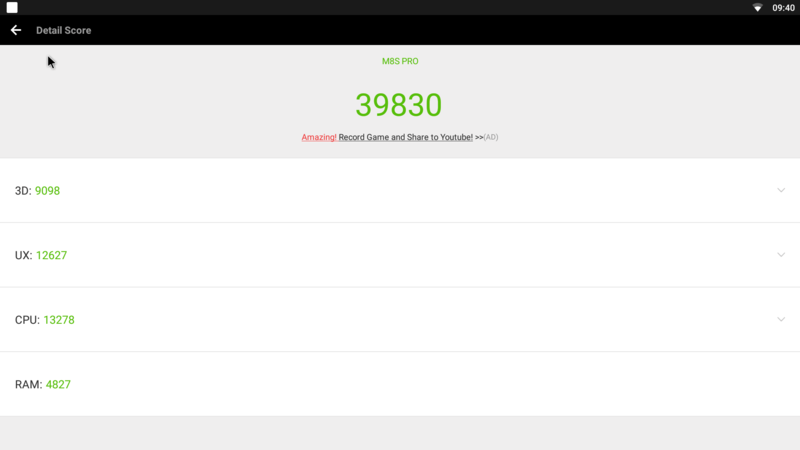 M8S Pro also comes in a 2GB RAM version. It appears to be even more aggressively priced since it costs less than $50. Let’s see how this one differs. The unit arrived in a very small and plain white box. On the inside, you can find the media box itself, an HDMI cable, the remote, the power adaptor and basic documentation. Specifications are typical for a S912 powered with 16GB of ROM media box with the exception of the 2GB DDr4 RAM. 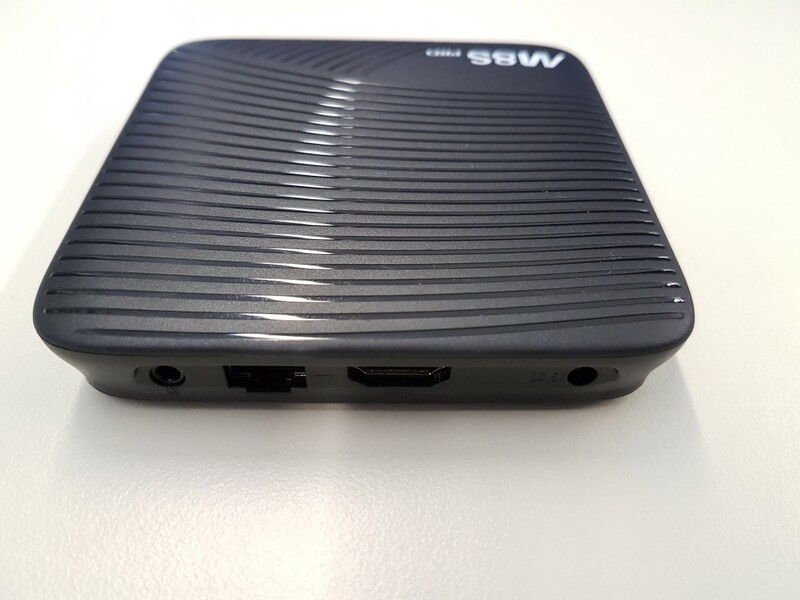 So besides the aforementioned S912 8-core Amlogic CPU and the Mali t820 GPU, I/Os feature 2x USB 2.0 , HDMI 2.0 (4K and HDR support), SD slot and a/v out. No S/PDIF out this time so pay attention if you own a receiver with no HDMI ports. For networking, the Mbit LAN, the Dual Band Wi-Fi and 4.1BT will be more than enough for the average user. 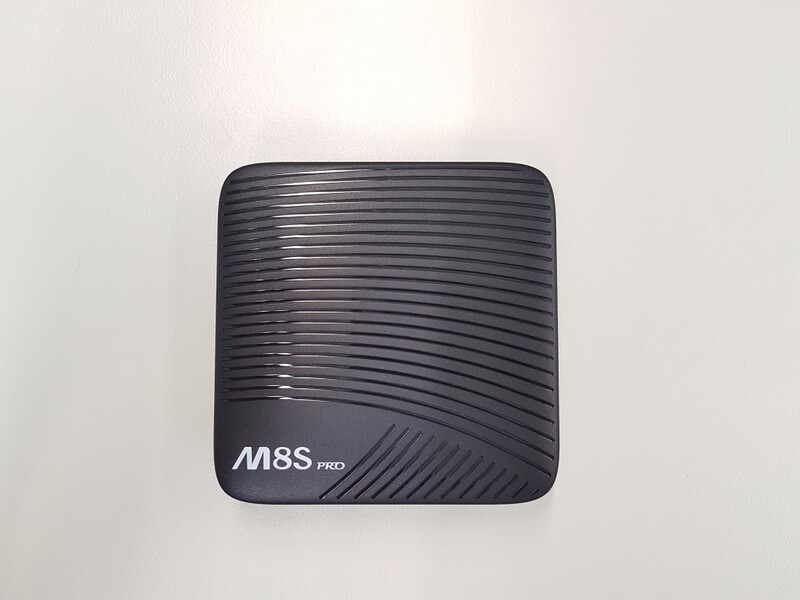 Although we usually have good performance with Mbit ports, we would just prefer to see the Gigabit one installed instead. 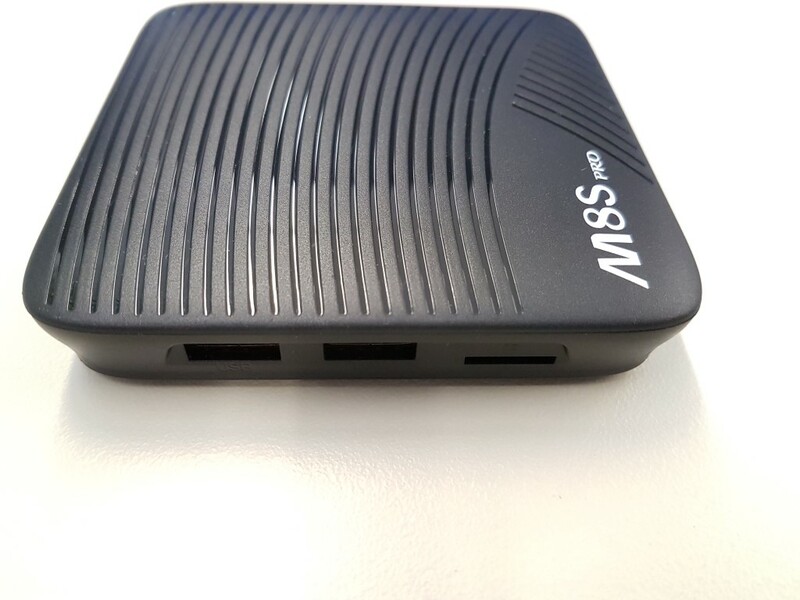 Mecool M8S Pro is quite small. It actually fits in the palm of your hand and that makes it very easy to carry it with you. Color is black and its design is relatively unique since it is full of openings/grilles on all sides. Although it provides an aesthetically pleasing result, it also helps with heat dissipation a lot. That was evident during our tests since the unit did not show any signs of stutters or lags due to overheating. 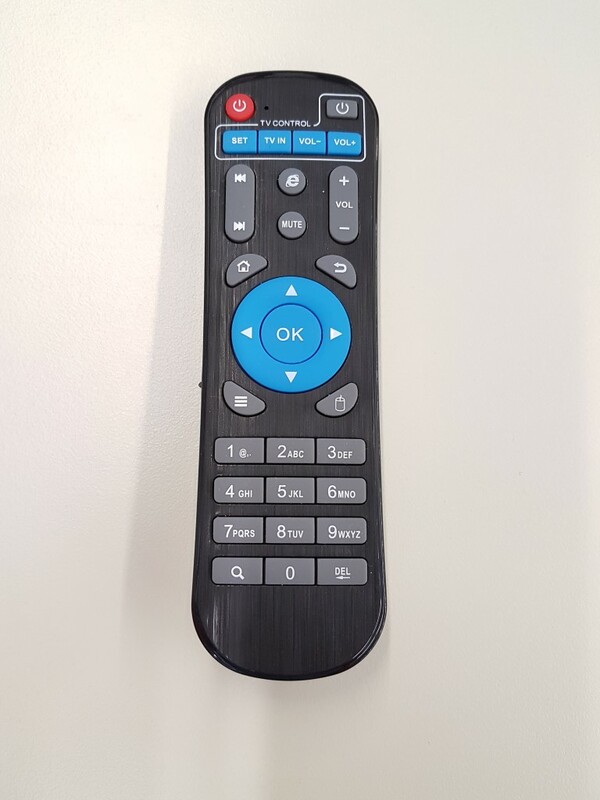 The remote (IR) is exactly the same as the one we found in BB2 Pro model from the same company. The grip is good and the numeric keys always come in handy. The feel when pressing the buttons could be smoother but we don’t have major complains. 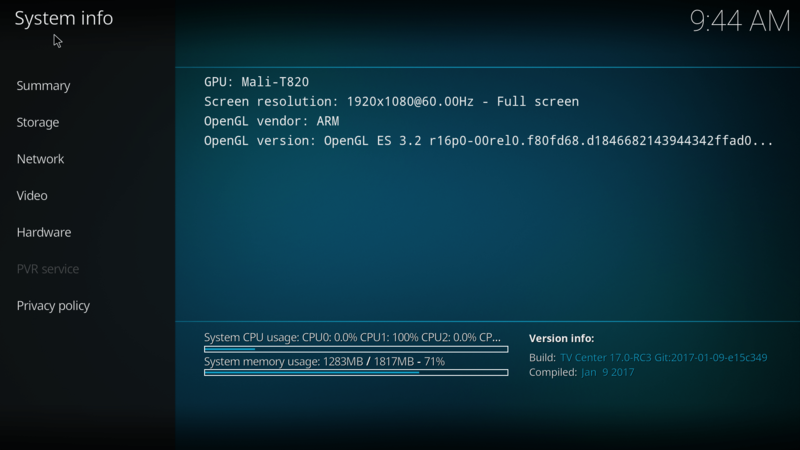 Booting into the main menu will not take long (less than a minute) and it is accompanied by a short animation. 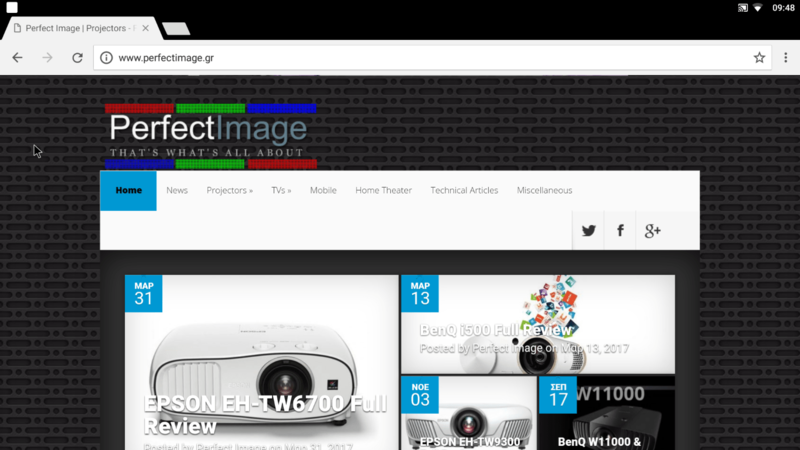 The menu is simple and exactly like the one we found at BB2 Pro model from the same company. 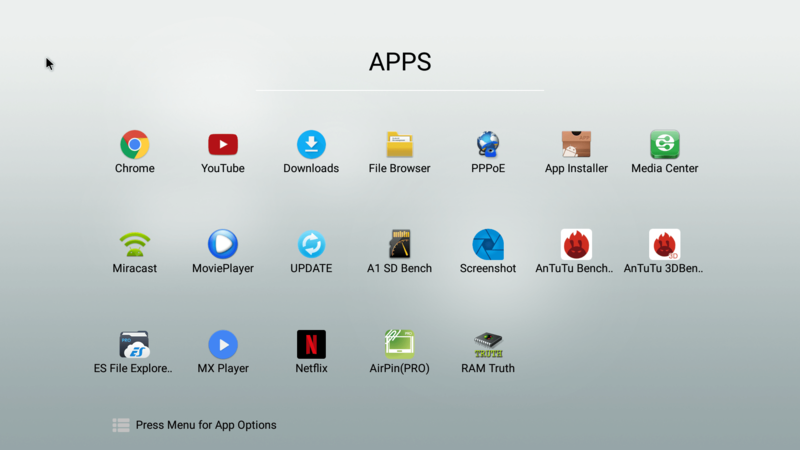 You will find one main screen, only featuring the basic options (KODI, File manager, Settings, Web Browser and apps) with the possibility to add shortcuts. It is clean and simple, with a useful clock widget in the middle. We expected to see a new GUI accompanying the new Nougat version but Mecool decided to use the existing one (again no complains, it is fast and responsive). At least the settings menu is the Nougat based one appearing on the right side of the screen. 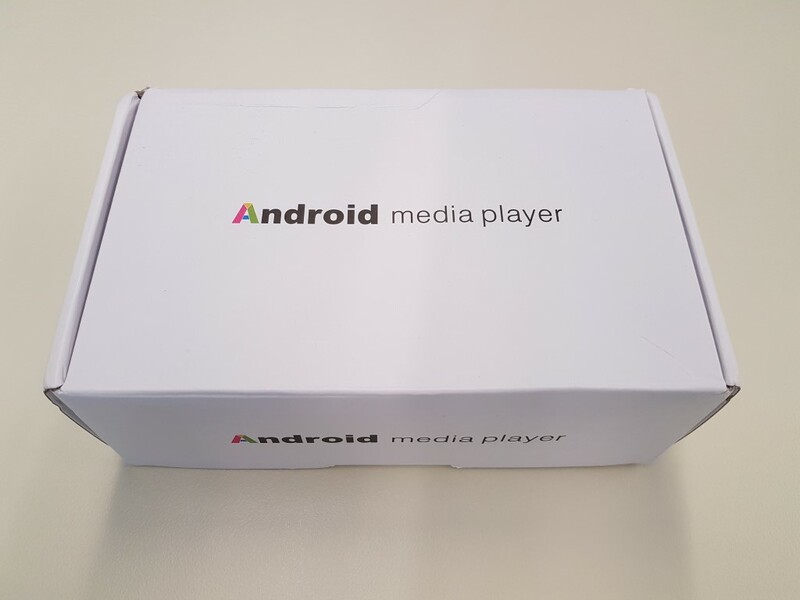 It is similar with the one found in the official Android TV based boxes. It certainly adds a better experience while browsing the settings. Mecool M8S Pro performs even better than what expected for a S912 based device. As usual, playback of mp3/flac files was great. 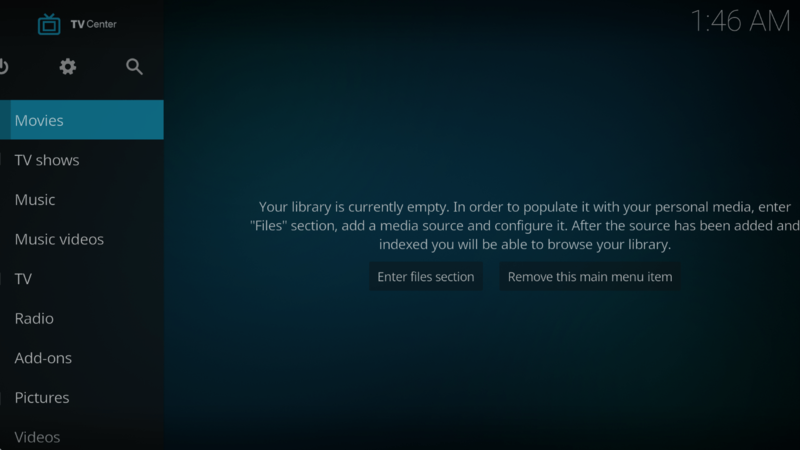 Regarding video playback, was very good using the pre-installed fork of KODI (TV CENTER). 4K video files (10bit HEVC included) had perfect hardware accelerated playback and you will not find easily an unsupported popular 4K encoding. Motion at 23.976 appears to be correct with no evident hiccups every now and then. 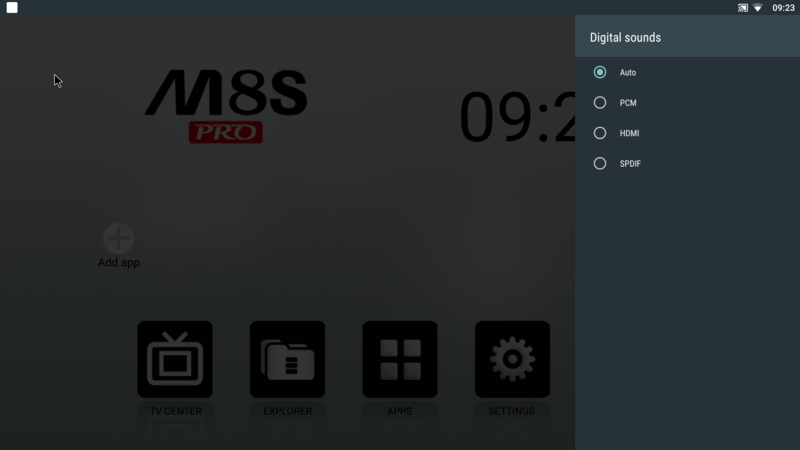 With HD Audio passthrough, M8S Pro provides an important upgrade compared to most S912 players we tested until now since DTS HD Master Audio and TrueHD are finally supported. We will have to thank Nougat for that. 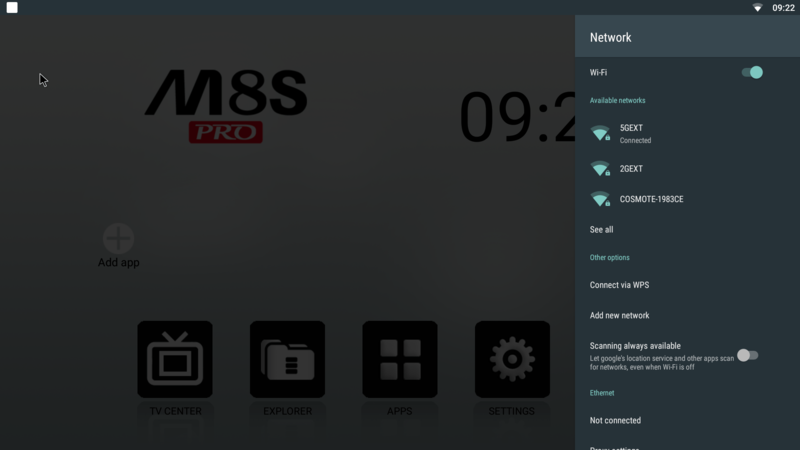 Downmixing also works great for those who will connect the M8S Pro directly to their TV set. Network performance is good. Streaming 1080p content via wired and dual band Wi-Fi was good. Only very high bitrate files could cause some light buffering via wired connection. 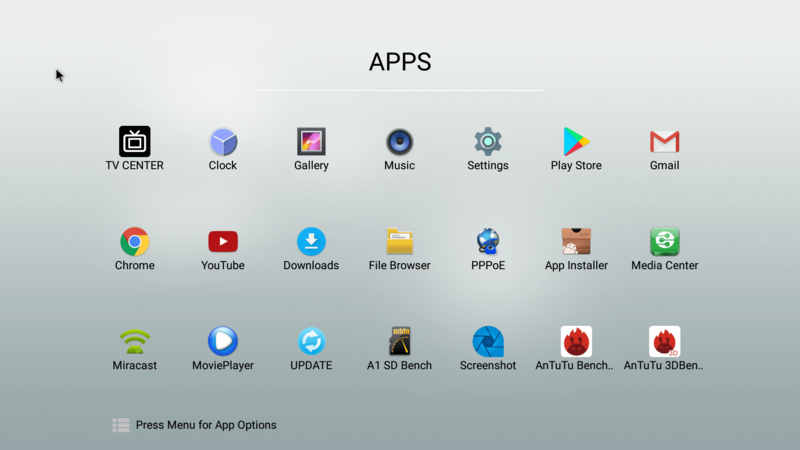 Gaming performance is good and you will be able to play almost any modern game from the Play Store with almost no stutters and lags. Internal storage and RAM benchmarks are considered typical for the price range. 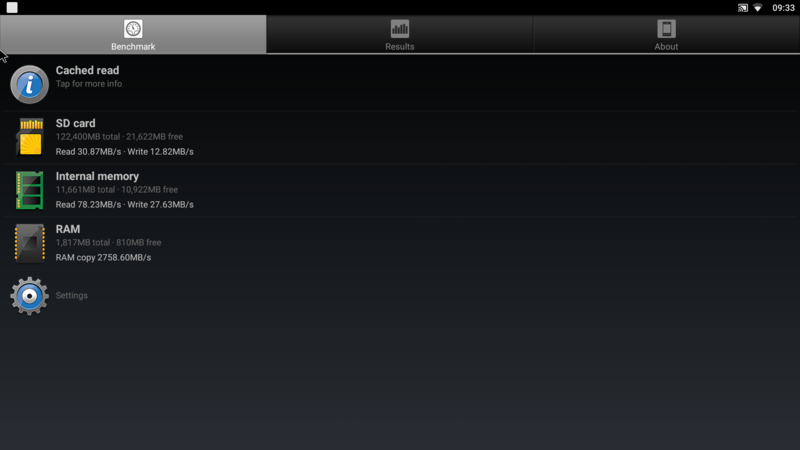 In fact, the 2GB RAM version seems to perform better when it comes to internal memory (ROM) from its bigger brother. You will not notice the difference in RAM size from the bigger model, unless you do excessive multitasking. Nougat makes sure that 2GB of RAM are plenty for all major tasks. 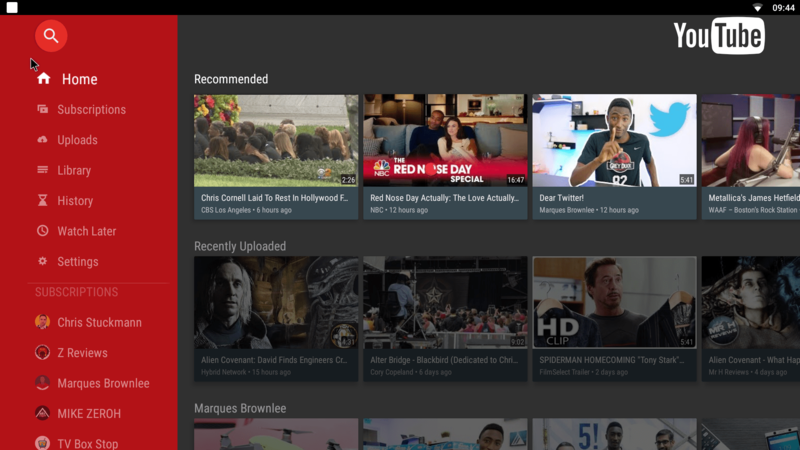 It is the first time we tested a Nougat (7.1) based media box (other than the Android TV certified NVidia Shield) and we definitely saw improvements. Performance while browsing was faster and snappier and the new settings menu added some nice points. We encountered only a few bugs with the most noticeable one being the reset of the main screen settings (for example, the shortcuts we added were disappeared) after rebooting. 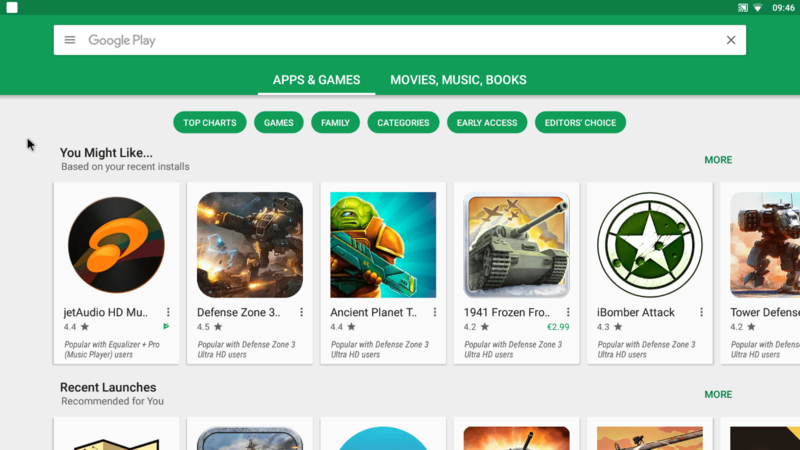 You will find some 3rd party applications and add-ons pre-installed. Mecool M8S Pro is a nice little box. It sports good and fast hardware with corresponding performance both in video playback and in applications and games. It also features the latest software version of Google’s Android providing snappier performance, advanced safety options and extra settings. The 2GB RAM version provides an extremely good value for money (and performance) ratio that we probably have never seen before. It is most probably the only one out there with S912 SoC, 2GB RAM, HD Audio passthrough and Nougat software. Usually in this price range (45€) you only get basic hardware with 1GB RAM and older SoC. 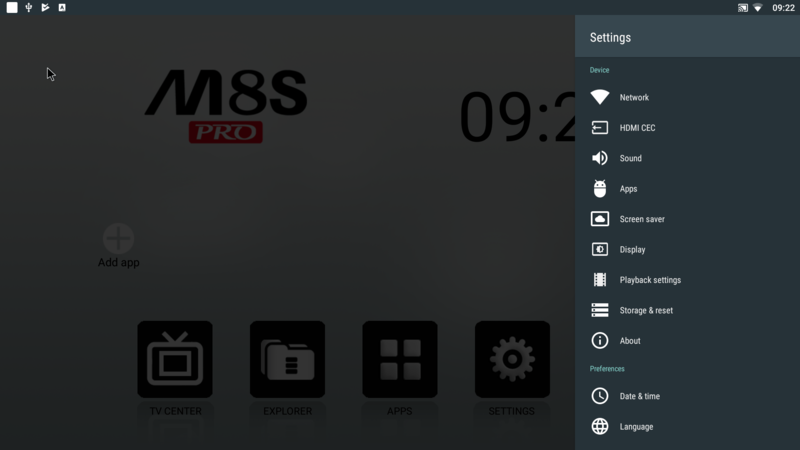 The 2GB RAM version of Mecool M8S Pro should be your top choice this period if you are out for an affordable media box.